Quilting Tools > Cross Hair Square - 8pt - 12.5" x 12.5"
The Cross Hair Square is the perfect tool for quilting and embroidery. 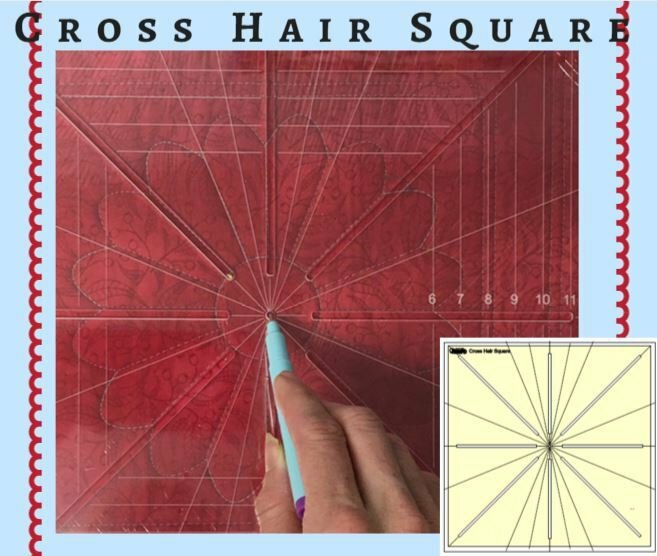 The Cross Hair Square is 12 1/2" x 12 1/2". Quickly mark up to 32 accurate reference lines for lining up designs. This is my NEW! favorite tool! Use with the Ultimate Marking Pencil that irons off for the perfect solution to placement of quilting and embroidery designs.